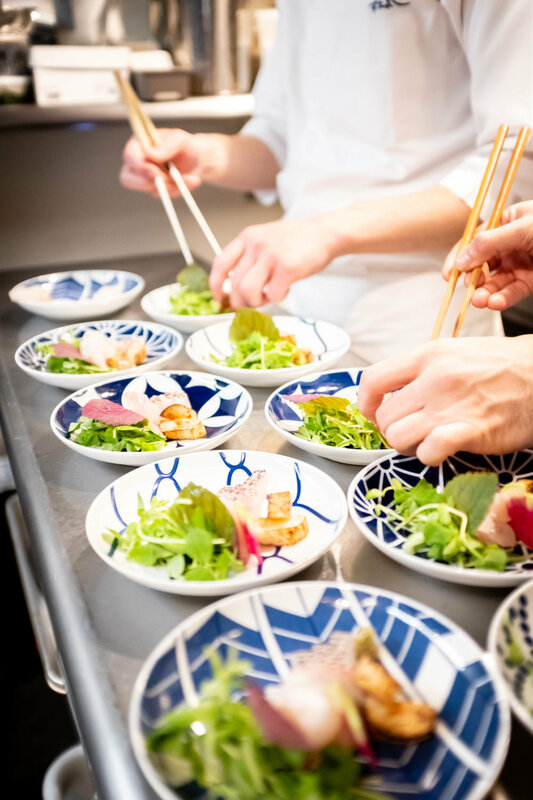 Recently, Chef David Israelow met with Akiko Katayama on her podcast Japan Eats, which aired on heritage radio network. 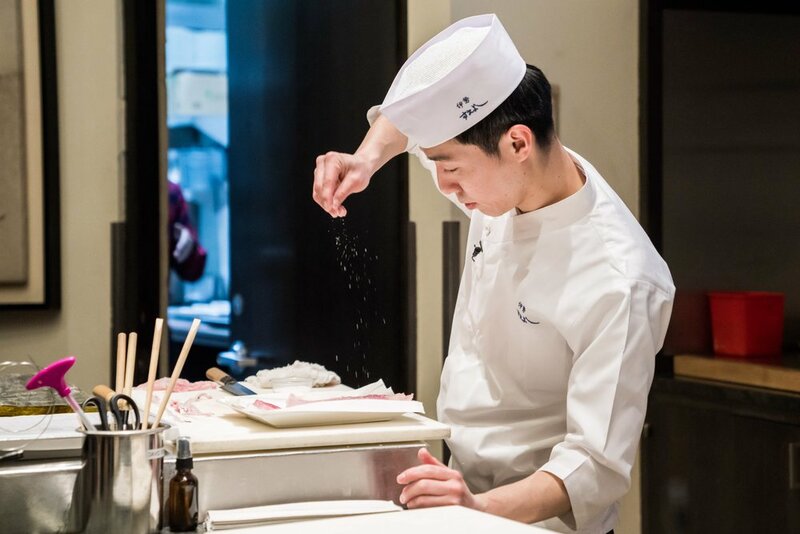 Akiko is a food writer, podcast host and a global authority on Japanese cuisine. Listen to the podcast to hear their full conversation (aired Monday, Jan 28, 2019). 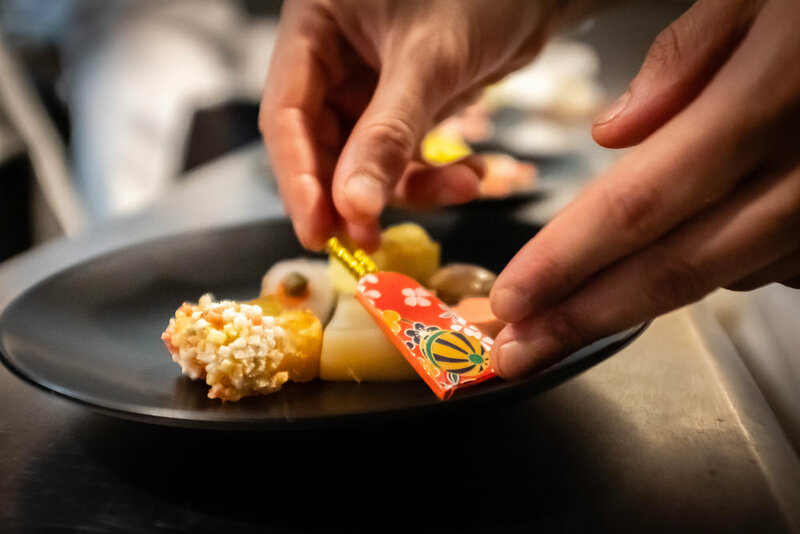 Chefs David Israelow and Yuuki Tanaka served a seasonal kaiseki course menu in January 2019. 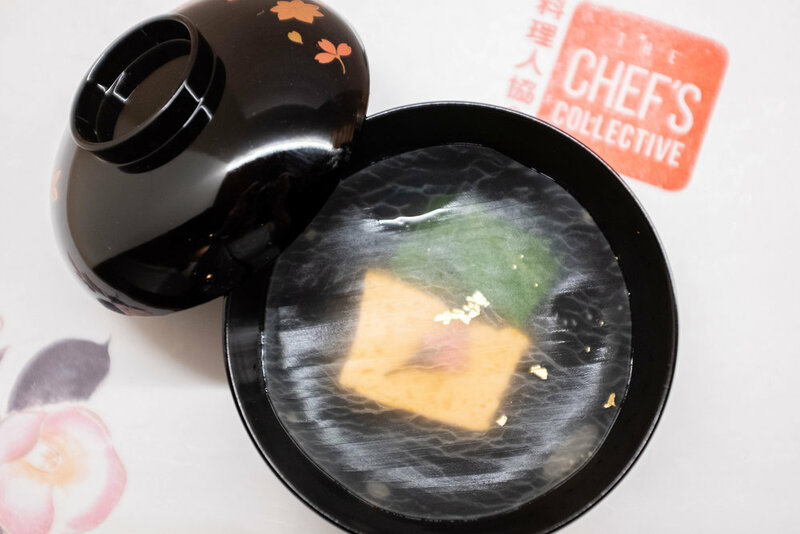 The Chef’s Collective presented Winter Kaiseki in New York City. A sold out event hosted at Secchu Yokota. 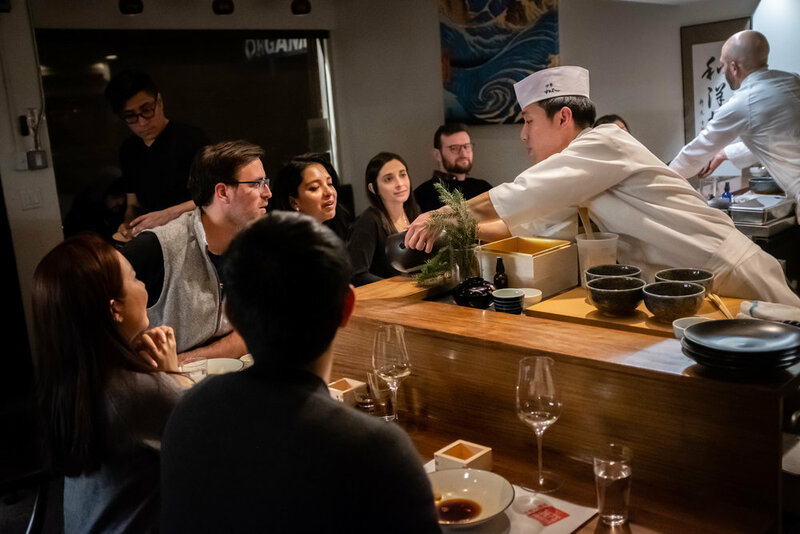 The intimate restaurant was the perfect setting for our visiting chefs David Israelow and Yuuki Tanaka to present their collaborative seasonal kaiseki menu. 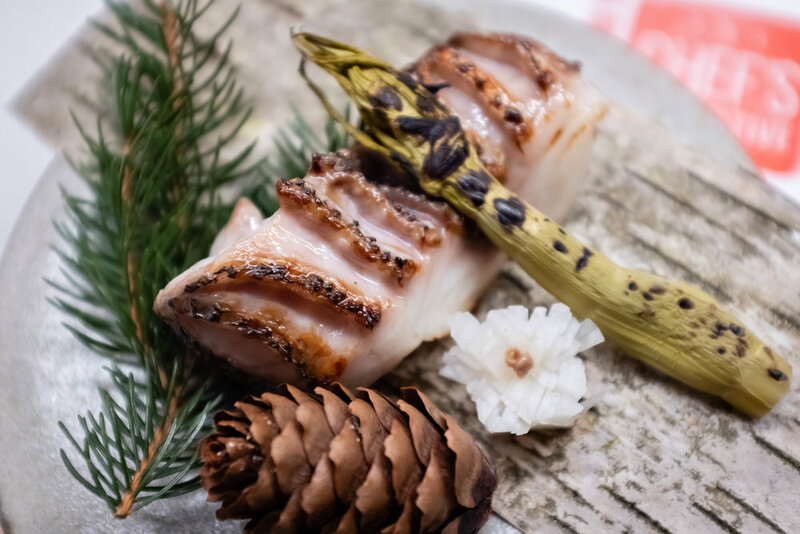 The menu highlighted locally sourced fish, wild vegetables preserved from the spring, and winter greenhouse growing in the Hudson Valley. 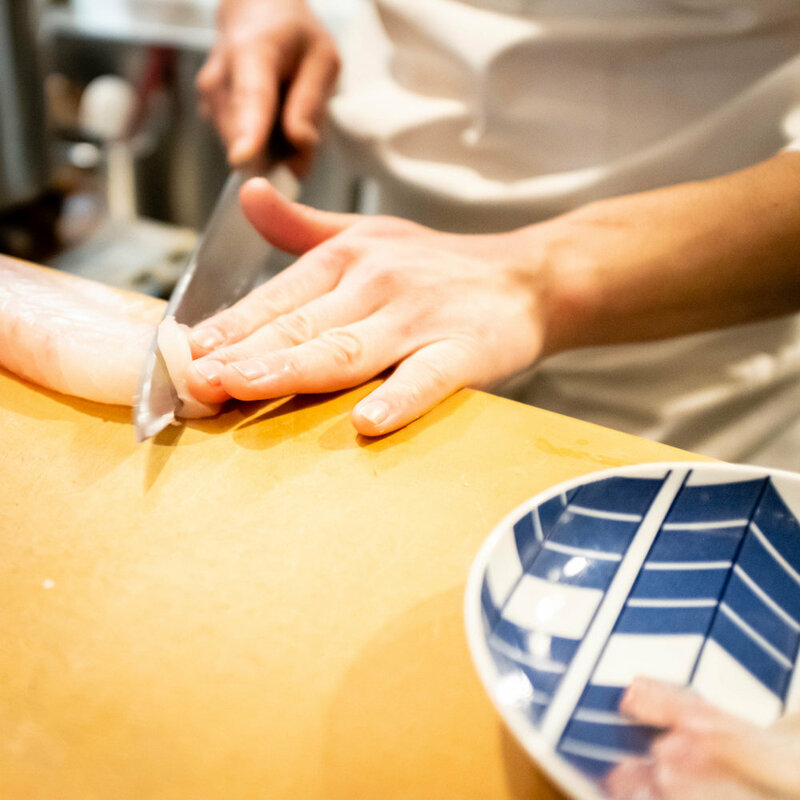 In the hands of our chefs, their unique expression represented the season, the locality and their collaborative efforts shined through. 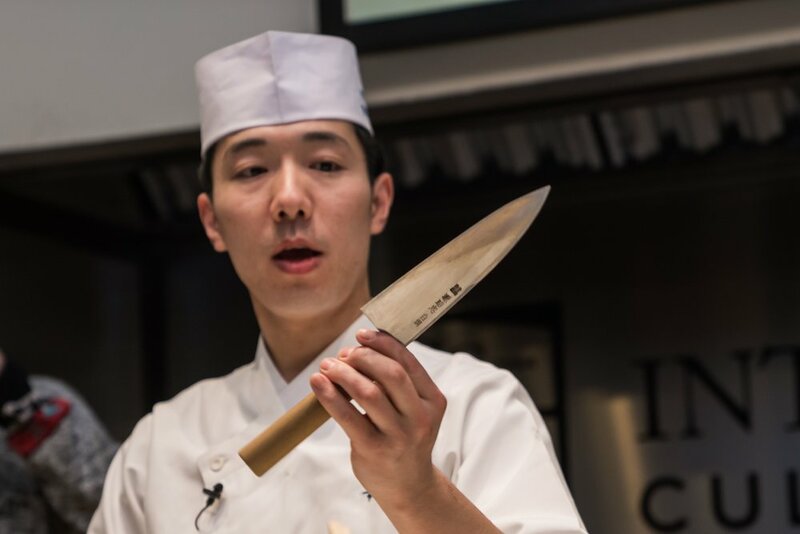 Presented in January 2019 at the International Culinary Center. 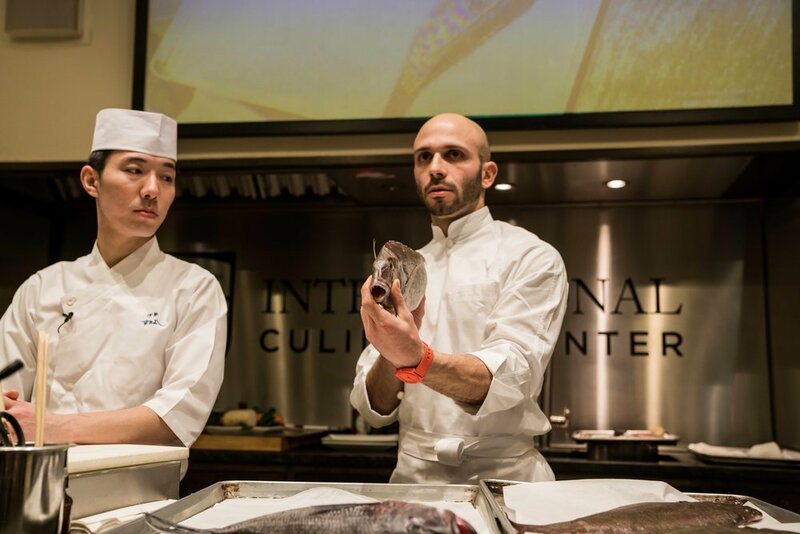 Attended by students, instructors and other culinary professionals, Chefs David Israelow and Yuuki Tanaka demonstrated the way to prepare fish for sashimi. 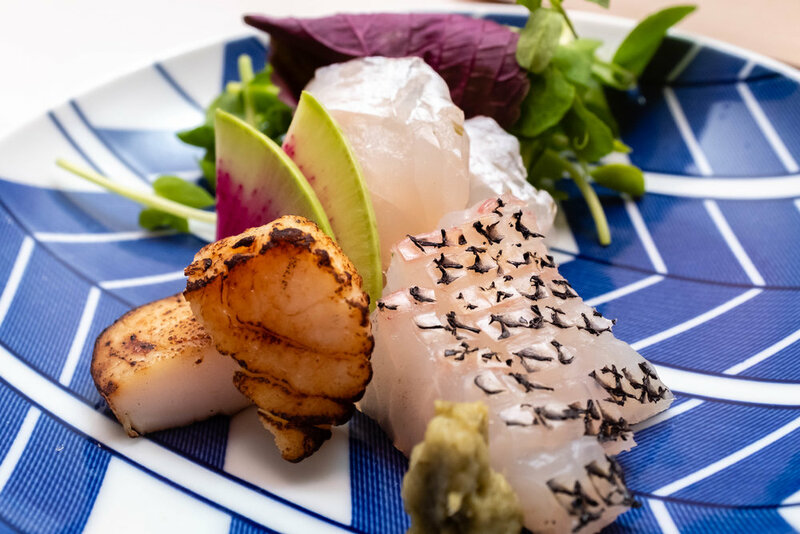 The focus was on local seasonal fish, which were sourced and provided by Osakana, a Brooklyn based restaurant, fish market and educational center. 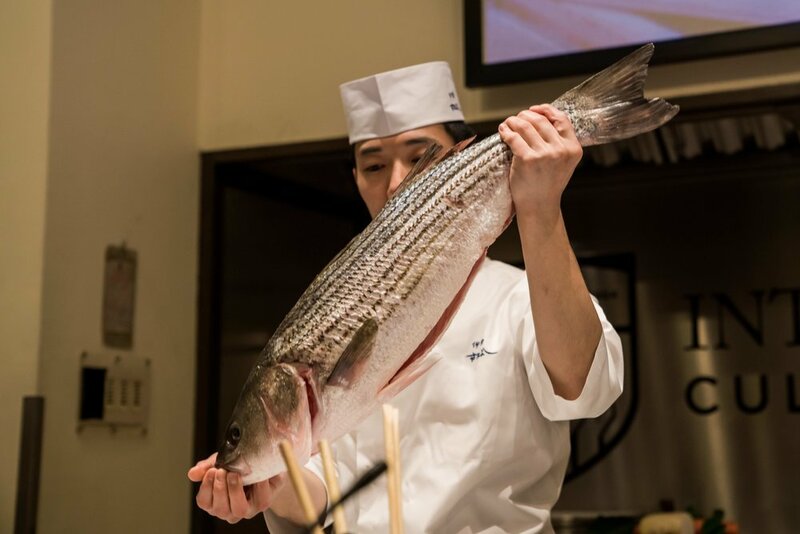 The chefs demonstrated using striped bass, Black Sea bass, porgy and fluke. 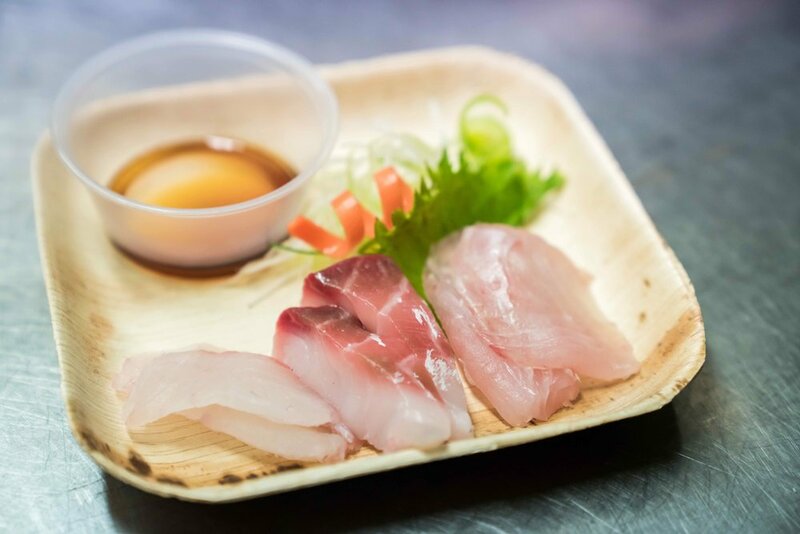 They demonstrated filet techniques for flat and round fish. 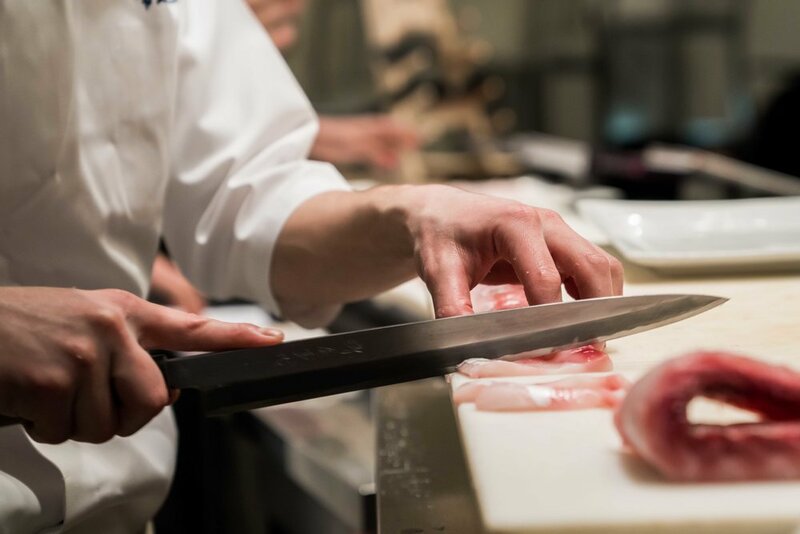 After preparing the filets, they chefs demonstrated two styles of cutting sashimi for the plate. article was posted by an attendee on JIJI (in Japanese).